Once Upon A Wine experiences ‘Just Wines’! Just Wines started in 2012 when they started their wine journey from a small double garage sized warehouse in Warriewood. 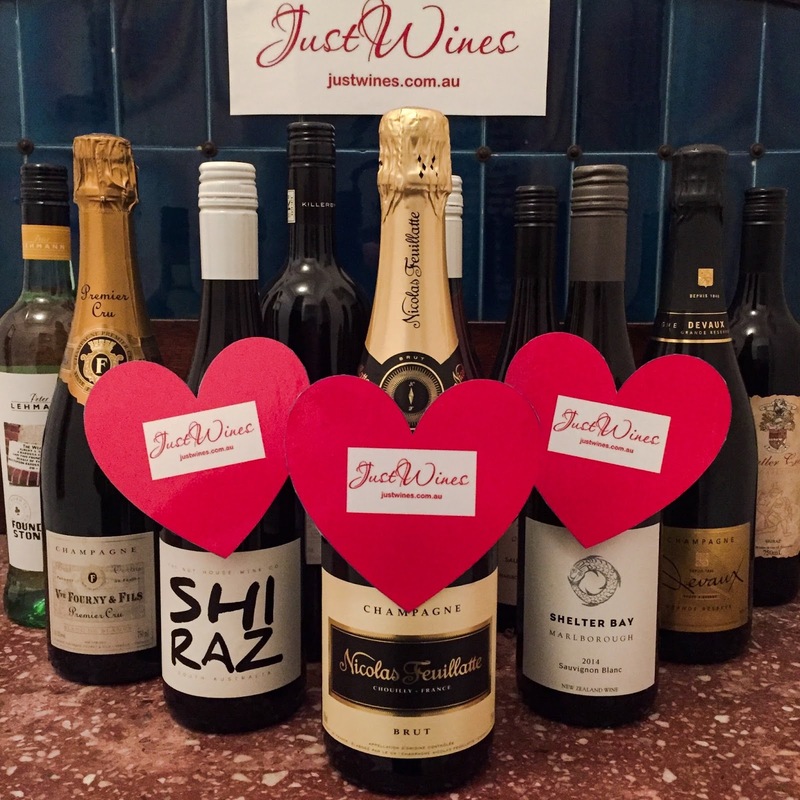 Just Wines is premised on 3 important factors for their customers: honest communication, great wines and excellent customer service Love for wines drove Just Wines into business and relentless efforts to bring the best at our customers’ doorsteps has made them successful over the last few years. Small boutique and family owned wineries became their first partners. With great support from their winemaking friends, Just Wines was able to source wines of exemplary class and taste from all over Australia and New Zealand and sell on on their online wine store. Today, Just Wines are a leading online wine shop in Australia.They have grown tremendously and reached from a small double garage sized warehouse to a 2000 sq. meter warehouse in Wetherill Park and have more than 30,000 loyal customers all over Australia! What an achievement. 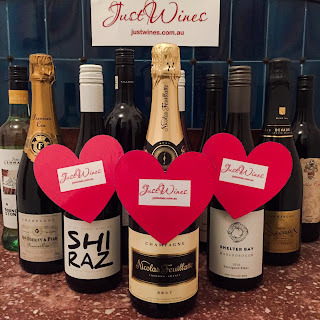 Just Wines has more than 3,000 different products on our website, both from small sellers as well as big winemaking giants and they plan to raise the number to 5,000 in less than next 12 months. Just Wines have sold over 9 million bottles of different wines in the last 3 years and they aim is to have every winery on Australian as well as New Zealand’s wine map sell on our website. As an ‘online only’ retail business, Just Wines is able to offer their customers exceptional prices and make sure they always offer incredible value for money. They are so confident of every wine on Just Wines’ site that they offer a “100% Satisfaction Money Back Guarantee” with no questions asked. Special offer: enter the code ‘ONCEUPONAWINE’ for 10% discount off any wines on the website, or ‘WINEONCE’ for $20 off at checkout. No minimum spend required & codes can be used 2 times per customer & offer valid until 31 August 2016. The Nicolas Feuillatte Brut Reserve is an elegant non vintage champagne with floral aromas, and lovely stone fruit, apple and pair fruit flavours on the palate. Fine and delicate bubbles and a creamy mouth feel with a nice dry finish. Delicious! Nicolas Feuillatte is renowned for it’s well-priced, quality Champagnes & this is a fine example at only $65 on Just Wines. Check it out! How beautiful is my Peach Bellini candle from the Essence of Joy? Special offer: enter the code ‘ONCEUPONAWINE’ for 10% discount off any wines on the website, or ‘WINEONCE’ for $20 off at checkout. No minimum spend required & codes can be used 2 times per customer & offer valid until 31 August 2016. The Champagne Devaux Grand Reserve Brut Champagne is a great option for a special occasion such as a birthday or an anniversary. But why does champagne always need an occasion? This is a méthode traditionnelle champagne made using a blend of Chardonnay and Pinot Noir. Floral aromas with stone fruit flavours such a white peach and apricot. A lovely drop at $74.99 on Just Wines. Special offer: enter the code ‘ONCEUPONAWINE’ for 10% discount off any wines on the website, or ‘WINEONCE’ for $20 off at checkout. No minimum spend required & codes can be used 2 times per customer & offer valid until 31 August 2016. The Veuve Fourny Premier Cru Brut is distributed in Australia by DeBortoli wines. This French champagne comes from Chardonnay and Pinot Noir plots near the village of Vertus where the age of the vines are approximately 40 years old. This wine has nice biscuit characters and a creamy mouth feel and fine elegant bubbles. Worth checking out if you would like to try a champagne in a traditional ‘house’ style! Special offer: enter the code ‘ONCEUPONAWINE’ for 10% discount off any wines on the website, or ‘WINEONCE’ for $20 off at checkout. No minimum spend required & codes can be used 2 times per customer & offer valid until 31 August 2016.
where grapes are delivered daily during vintage. Special offer: enter the code ‘ONCEUPONAWINE’ for 10% discount off any wines on the website, or ‘WINEONCE’ for $20 off at checkout. No minimum spend required & codes can be used 2 times per customer & offer valid until 31 August 2016. The Shelter Bay Marlborough 2014 Sauvignon Blanc has pineapple, passion fruit and gooseberry fruit flavours. Nice acidity and a crisp, clean and lingering finish. Special offer: enter the code ‘ONCEUPONAWINE’ for 10% discount off any wines on the website, or ‘WINEONCE’ for $20 off at checkout. No minimum spend required & codes can be used 2 times per customer & offer valid until 31 August 2016. 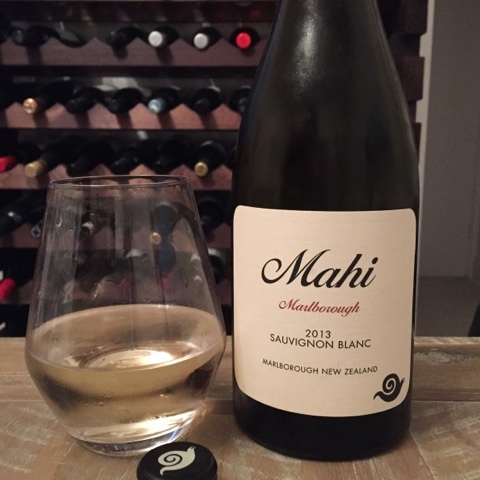 The Mahi Sauvignon Blanc 2014 is impressively made with fruit from 7 different vineyards in the Marlborough region based on their soil, aspect and character, adding to the texture of the wine and offering layers of tropical and stone fruit flavours. Amazing length and powerful flavour. Sauvy B fans, this one is worth trying! Only $191.88 for a case of 12, equating to just $15.99 a bottle on Just Wines. Special offer: enter the code ‘ONCEUPONAWINE’ for 10% discount off any wines on the website, or ‘WINEONCE’ for $20 off at checkout. No minimum spend required & codes can be used 2 times per customer & offer valid until 31 August 2016. The Rosnay Organic ‘Freedom’ Preservative Free 2013 Rosé is a great example of an organic wine from Mudgee in NSW. It is made without any sulphur dioxide to preserve it. It is made of a blend of 75% Shiraz and 25% Mourvedre. This wine has red fruit flavours, nice acidity and a tiny bit of residual sweetness. Rosé lovers, make sure you check this one out. This wine should be served chilled and could be enjoyed on a nice warm day! The label is a painting by Florence Statham. Special offer: enter the code ‘ONCEUPONAWINE’ for 10% discount off any wines on the website, or ‘WINEONCE’ for $20 off at checkout. No minimum spend required & codes can be used 2 times per customer & offer valid until 31 August 2016. Firstly how striking is this label- I love it. The Nut House Shiraz has beautiful ripe berry fruit flavours with hints of pepper and spice. Deep intensity, flavour and structure with a generous lingering finish. It is a great value for money medium bodied Shiraz at only $119 for a 12 pack on Just Wines – that equates to only $9.92 a bottle – what a bargain! Special offer: enter the code ‘ONCEUPONAWINE’ for 10% discount off any wines on the website, or ‘WINEONCE’ for $20 off at checkout. No minimum spend required & codes can be used 2 times per customer & offer valid until 31 August 2016. The Buttler Crest Shiraz is from the heart of the Margaret River in Western Australia. This wine has lovely red berry and black fruit flavours with a stellar integration of oak, spice and pepper. Once Upon A Wine loves the crest on the bottle. A nice example of a Margaret River Shiraz. Special offer: enter the code ‘ONCEUPONAWINE’ for 10% discount off any wines on the website, or ‘WINEONCE’ for $20 off at checkout. No minimum spend required & codes can be used 2 times per customer & offer valid until 31 August 2016. The Killerby Cabernet Sauvignon 2011 is a fine example of an elegant Margaret River Cabernet Sauvignon with fine black fruit flavours (plum and blakberry) with hints of oak from ageing in French oak barrels. It is a full bodied wine with great structure and fruit flavours and fine tannins. Special offer: enter the code ‘ONCEUPONAWINE’ for 10% discount off any wines on the website, or ‘WINEONCE’ for $20 off at checkout. No minimum spend required & codes can be used 2 times per customer & offer valid until 31 August 2016.